The UK's number one TV psychic Derek Acorah tells of his experiences with the spirit world, from his one-to-one readings and consultations to international performances and renowned investigations for Living TV's Most Haunted. 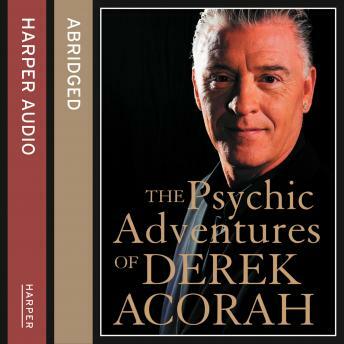  The Psychic Adventures of Derek Acorah paperback went straight into the Sunday Times bestseller list at no. 3.  Derek Acorah is one of the UK's best known psychics with several regular television shows on the Living TV channel: the hugely successful 'Most Haunted' and 'Celebrity Most Haunted', and 'Psychic Live'.  In this book he tells amazing tales of his countless psychic experiences, from public performances to personal readings.  Includes exclusive details of Derek's extraordinary communications with some of Britain's more notorious spirits; a phenomenon often witnessed by thousands of television viewers during his investigations into reputedly haunted historical sites for Living TV.